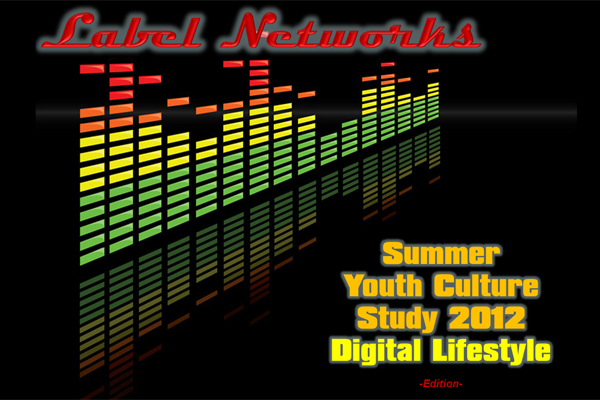 Label Networks’ Summer Youth Culture Study 2012—“Digital Lifestyle” will cause many brands and agencies to re-examine how they plan to reach the savvy marketplace of today’s 13-25-year-olds, particularly for back-to-school season as there has been many changes in the last 6 months. Their generational ease with technology, computers, social media, smart phones and apps and now, tablet PC’s, have made them inherent leaders when it comes to digital lifestyles. Combined with shifts in influences from the economy, new inspiration in shopping within a “savings” culture has resulted in new retail patterns and youth culture preferences in terms of why they buy what they buy. Entertainment has also greatly changed based on new modes of personalized electronics, providing even greater opportunities for viral and grassroots marketing. Finally, the revolutionary shifts in music and its influences on youth culture, including sponsorship opportunities, have made this demographic among the most sought-after across many industries trying to engage in the lifestyles of the future. The Summer Youth Culture Study 2012—“Digital Lifestyle” reveals where it will be most imperative to incorporate leading-edge brand strategies, marketing, and sponsorship opportunities if they are to reach youth culture effectively and relevantly integrate into this next generation—a demographic that has grown-up in a completely connected world. The Summer Youth Culture Study 2012—“Digital Lifestyle” also includes robust sections to many open-ended questions with insightful quotes from respondents that offer additional valuable insight on the psychodemographics of youth culture and “why” they feel the way that they do. For businesses looking to maximize their strategies as they pertain to the youth marketplace, Label Networks’ Summer Youth Culture Study 2012—“Digital Lifestyle” provides the knowledge for inspiring feed-forward ideas such as where things are headed and how best to engage with the upcoming back-to-school season, how things have changed in the last 6 months, and why. Format of the Study: Colorful and actionable charts, graphs, data, design, and intriguing lay-out for ease of use. Included “Macro Trend Editorial Summaries” written by Label Networks’ Youth Culture Analysts for each section to provide a quick snapshot of key findings. Forecasts are also included based on historical intelligence and analysts’ experience in global youth culture markets.